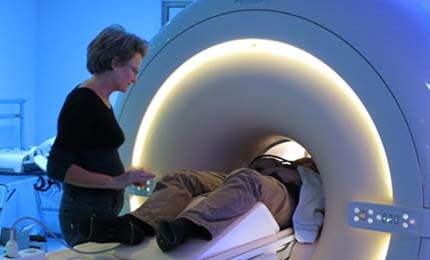 Magnetic resonance imaging (MRI) is a powerful tool and is widely used in neuroimaging owing to its non-invasive nature and high sensitivity to brain activation. The workhorse of present-day cognitive neuroimaging research, the 3T MRI scanner provides excellent image quality for routine data collection to study activation of the brain, as well as its anatomical structure and metabolism. Additionally, the Spinoza Centre houses an integrated recording system that registers several important physiological parameters into the standard workflow.